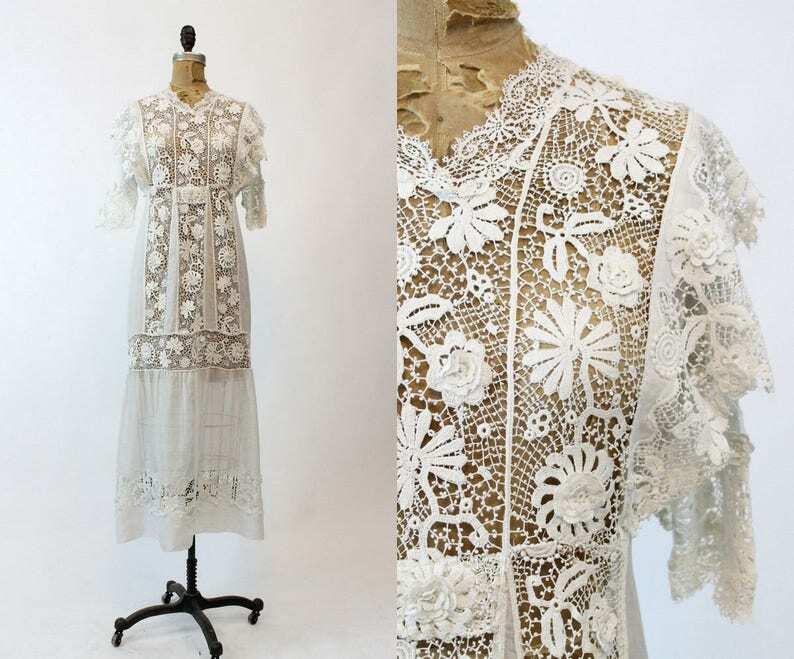 A Belgian Brussels Duchess Bobbin lace dress with rose appliques that is truly a slice of history! This Edwardian dress is stunningly handcrafted in a time consuming labor of love. The lace work is present throughout the dress, creating a deliciously romantic feel. The dress closes up the back with a row of delicate buttons and a hook and eye at the waist. Unlined. Hand washed and ready to wear. Waist(High waist): 28" Natural: 30"
Shoulders (seam to seam): 20"